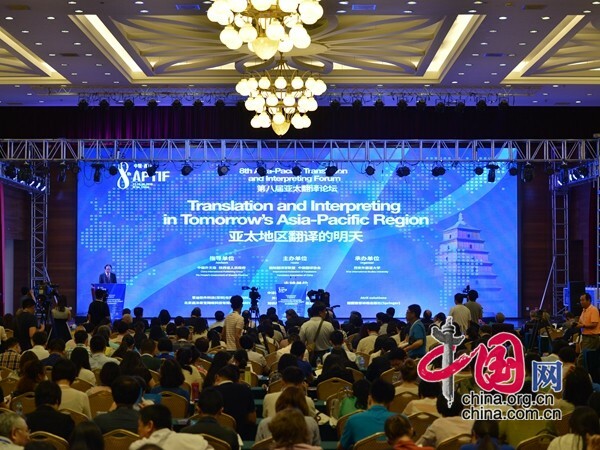 Editor's note: The opening ceremony of the Eighth Asia-Pacific Translation and Interpreting Forum (APTIF) was held in Xi'an, the capital city of Shaanxi Province, on June 17, 2016. The theme of the eighth APTIF was "Translation and Interpreting in Tomorrow's Asia-Pacific Region." More than 500 renowned experts and scholars from both China and abroad were present at the opening ceremony.